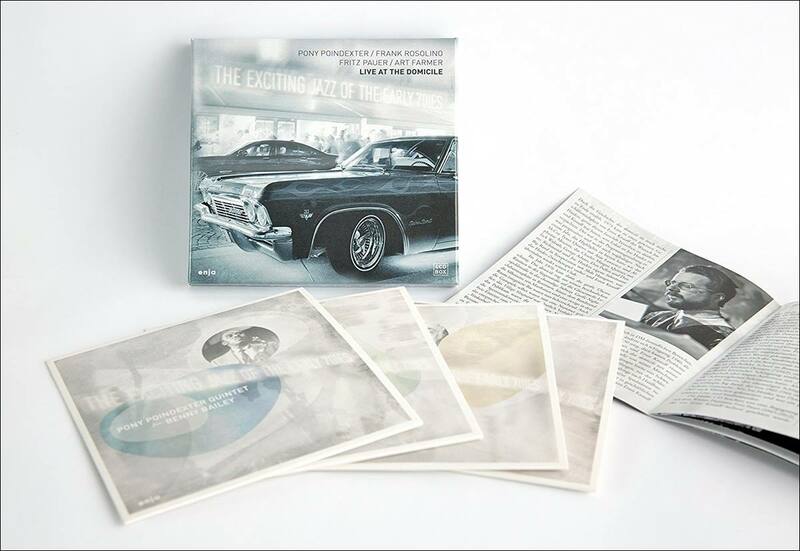 ENJA - THE UNRELEASED RECORDINGS 1968 ~1978 (4CD BOX) 한정판!! '파리의 블루노트' ' 런던의 로니 스코트'와 함께 유럽의 3대 재즈 클럽으로 꼽히는 '뮌헨의 도미사일' 클럽실황판!! Recorded live September, 1968, at the domicile, Munich. 4 CDs of previously unreleased live small group jazz recorded in Germany 1968 - 1978, includes extensive sleeve notes and all housed in a natty card box. The groups include the Pony Poindexter Quintet featuring Benny Bailey (1968), the Frank Rosolino and Conte Candoli quartet (1975), Fritz Pauer Quartet (1972) and the Art Farmer Quartet (1978). The sidemen include such names as Jan Hammer, George Mraz, Jimmy Woode and drummer Billy Brooks. They were recorded live at the Domicile jazz club in Munich by Germany BR Radio, except CD 4 which was recorded at Luitpold Halle in Rosenheim. The Domicile, which unfortunately went out of business some 20 years ago, was one of the top locations in Europe offering hot, swinging jazz together with the Blue Note in Paris and Ronnie Scott's in London.